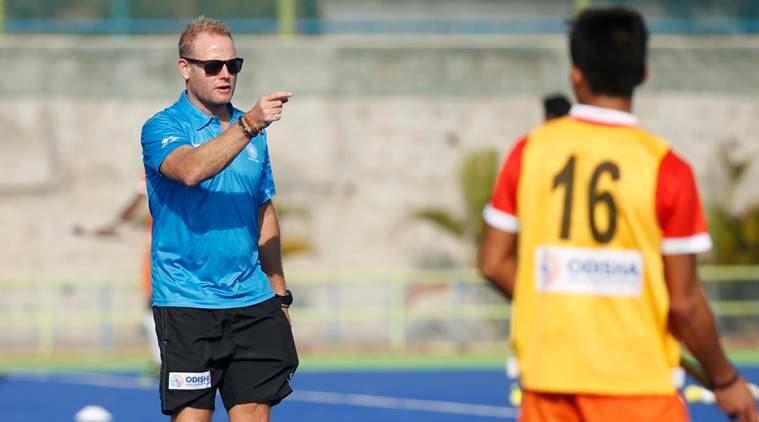 Sjoerd Marijne had only been appointed as the Men's Hockey coach in September last year taking over from Roelant Oltmans. He will now return to coach the women's team. Sjoerd Marijne stressed that such a technique will help bring team unity. After a disappointing performance in the recently concluded Commonwealth Games in Gold Coast, where the side finished in the fourth position, Hockey India on Tuesday announced the appointment of Harendra Singh as the Chief Coach for the Indian Men’s Hockey Team, removing Dutchman Sjoerd Marijne. The national body further announced that the Dutch coach will return back to take his responsibility as the coach of the Women’s Hockey Team. In so doing, Marijne became the 24th coach to be removed in 24 years in what has been a carousel of head coaches having been appointed in September last year. Marijne, 44, who had earlier led the women’s team during his first stint as the coach. Under his guidance, the women’s team qualified for the Hockey World League Semi-final. Now, with his return, he will lead the side for the upcoming 5th Women’s Asian Champions Trophy in Korea starting May 13. “We won the Asia Cup with dominate [sic] hockey, in the World league we have shown we can beat world class teams and with our New Zealand tour we made another step in our process to win the Asian games and the World Cup. Unfortunately the Commonwealth Games we didn’t perform the way we expected but still we had good statistics. The coaching style I choose [sic] was players driven. The reason is that players learn to take responsibility for their actions because all the decisions which are taken they were involved and that means they were supporting the plan. The other reason is that when you involve players in the thinking process they will get more tactical awareness and learn faster. This is scientifically proven because they have to learn to take decisions inside the pitch. It means that I prepare the matches and after this I share it with the leaders so they can explain in Hindi to the rest of the team. I had a lot of confidence that with this way of working we could win the Asian Games and the World Cup.